After breakfast, we made our way to the Tower City Center where we took The Rapid to our next destination. We thought that this would be a great idea since this way, we’re able to avoid all the road closures brought about by the marathon. We got off at the North Coast station, and made our way out onto the street. Good thing we decided to take public transit instead of driving. 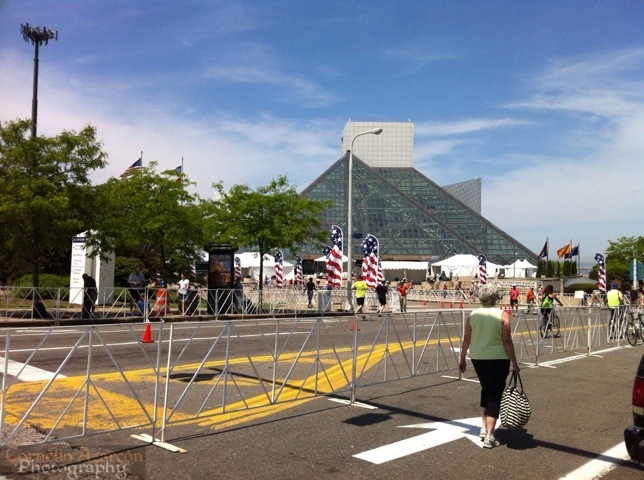 As we found out, the starting point and finish line of the marathon was at the Cleveland Browns Stadium, right beside the Rock & Roll Hall of Fame. 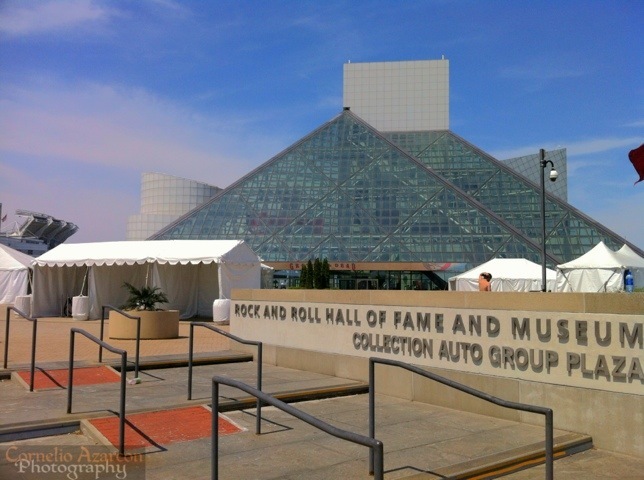 We spent a few hours at the Rock & Roll Hall of Fame ($22.00 for Adult Admission), a must if you’re in Cleveland. 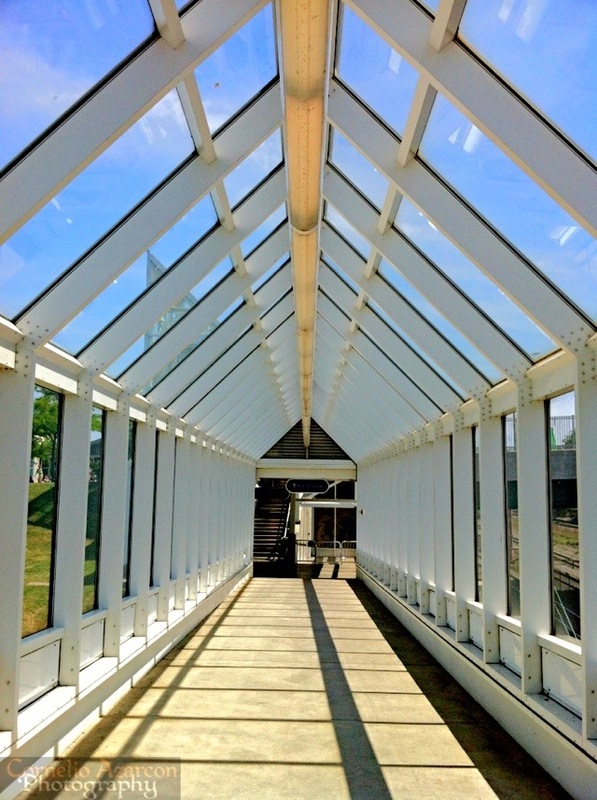 If you’re a fan of music and history, you’ll surely love this place. 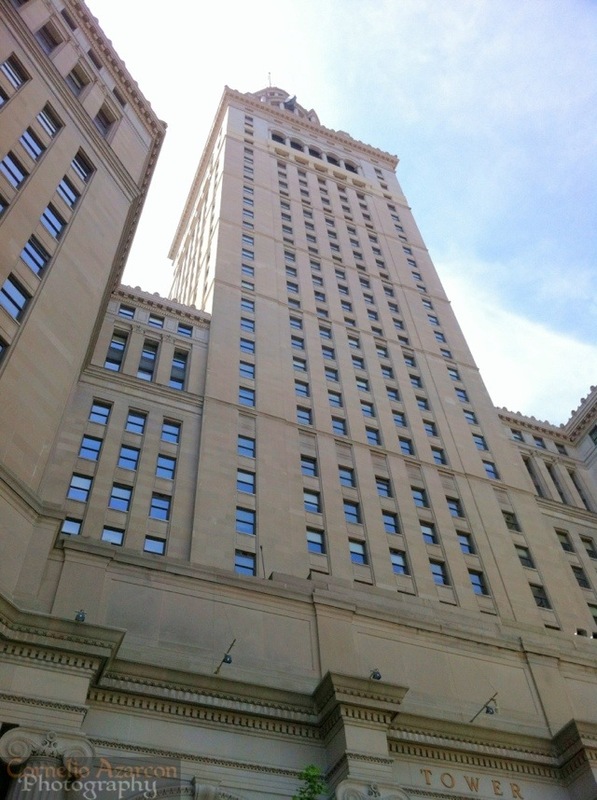 After a visit to the Rock Hall, we headed back to the Tower City Center where the new Horseshoe Casino Cleveland just opened at the beginning of the week. We didn’t go there to gamble. 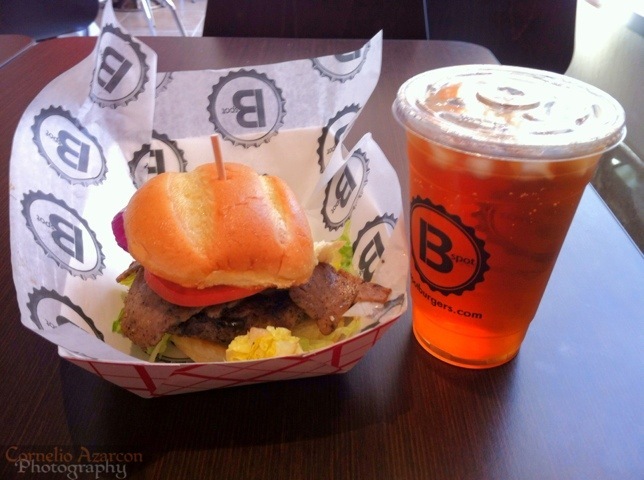 In true Hungry Man fashion, our purpose was to check out 1 of 5 locations of Michael Symon’s burger joint, B Spot. I ordered the Kojak burger ($9.00) which consisted of a 5oz patty topped with Gyro meat, and an unsweetened iced tea ($2.50). You have the option of whether to have your burger cooked medium or well done. I opted for medium, and this is one of the best burgers I ever had. You can taste the freshness and quality of the beef. Definitely would come back to B Spot, but would want to check out one of the actual restaurants instead of just a fast food stall at the casino to take in the whole experience.